The Vegueros Tapados is a mild-medium and rich Habanos of Corona Extra format, 4.7” (120mm) long, of 46 ring gauge, and comes in a 16 cigars box. It is a perfect short or a morning smoke with a nice and pleasant but not overpowering or complex attitude. Superb construction with a golden brown wrapper, this small Cuban made of superior tobacco of Pinar del Rio, should be in your humidor at all times. 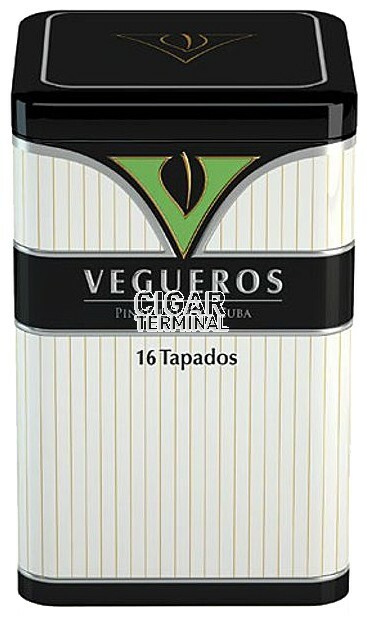 Vegueros Tapados is a perfect short or a morning smoke with a nice and pleasant but not overpowering or complex attitude. 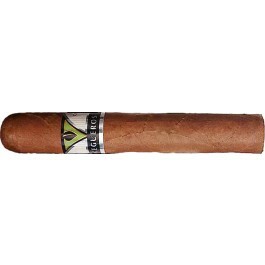 This Mild to medium cigar with herbal and grassy aromas make for a ‘chilled’ smoke and a nice change from the Cuban powerhouses. The Tapados, is a Mareva Gruesa, like a fatter Petit Corona size, so the smoke will be round and long. Vegueros Tapados are offered in metal tins of 16. Superb construction with a golden brown wrapper, this small Cuban made of superior tobacco of Pinar del Rio, should be in your humidor at all times.